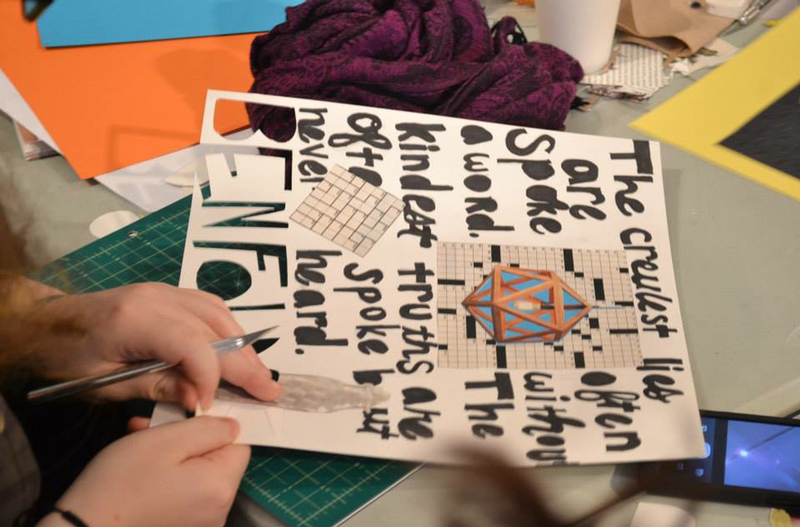 It’s Education Month on the ADC Blog, and while most people think of college or post-grad schools when it comes to creative arts learning, you might be surprised to discover that ADC’s scope also reaches down to the high school level. Founded in 1997 in partnership with the School Art League and New York Board of Education, ADC Saturday Career Workshops have been educating talented high school juniors from all five of New York’s boroughs. ADC Saturday Career Workshops Fall 2014 classes begin tomorrow morning with ADC Young Guns 8 winner (and ADC School of Craft teacher) Rich Tu. Entitled “Introduction to Poster Design” Rich will lead a crash course on effective poster design, where students will receive feedback through rounds of concepts, and be charged with creating final imagery under realistic working conditions. It will be fast-paced, collaborative, and fun. “Ideas will flourish and weakness will be pounded into submission,” jokes Rich. The Fall 2014 classes run every Saturday morning from tomorrow until November 22, and are made possible by a grant from the Richard and Jean Coyne Family Foundation.